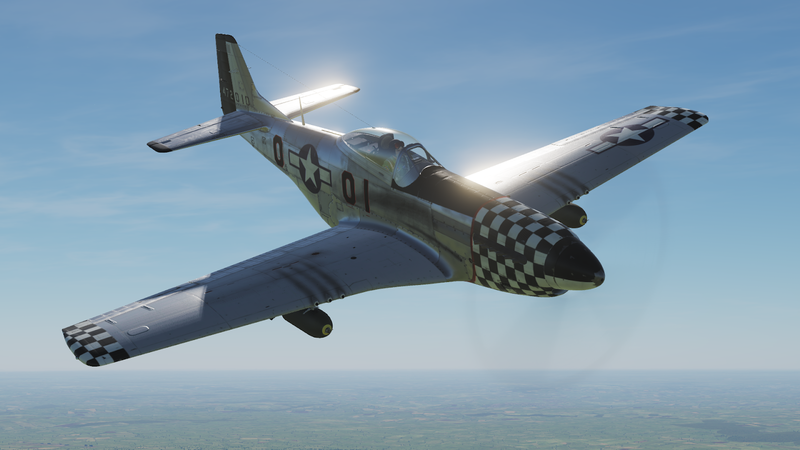 With the recent fixes and upgrades, the P-51D looks stunning and flies great in the DCS World skies. 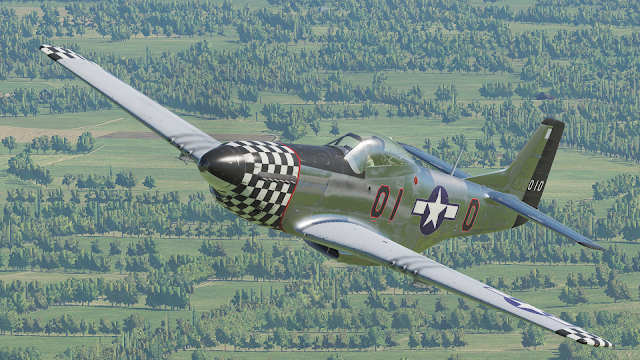 I have plenty of un-played content in the form of campaigns and one of those has the P-51 as the main airframe. One of my non-complete items of the P-51 pilot syllabus is bombing, which is needed in the P-51D Operation Charnwood Campaign (Bunyap Campaigns). 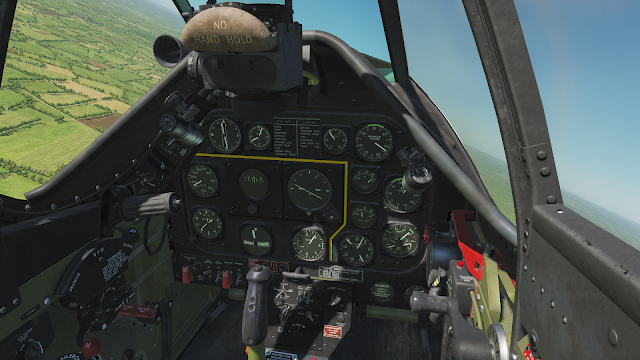 The color palette in the P-51's cockpit has been fixed and gone are now the unnerving bright reds, which gave way to more hushed and lifelike tones. 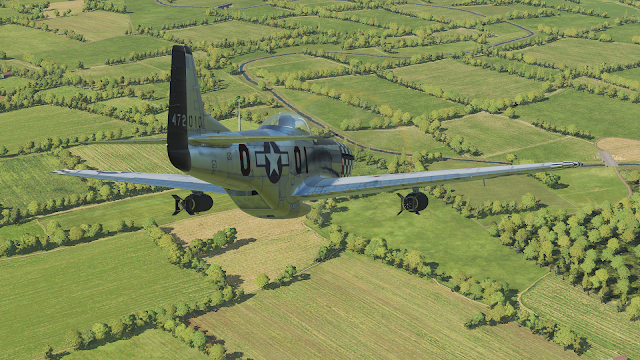 The P-51D is not a dive-bomber, not even a bomber per se. But I gave up diving on it a while back and I have been entertaining the possibility of doing the so-called "glide bombing" runs, which were definitively a P-47 thing. 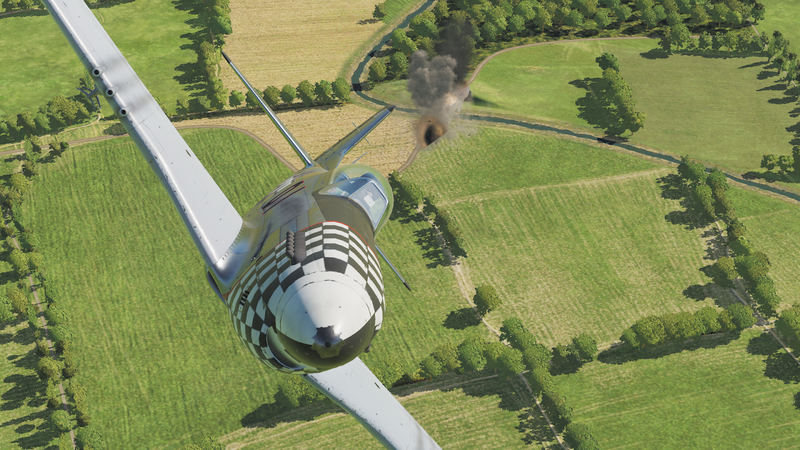 With two bombs under my wings, I start a shallow dive in my P-51D. 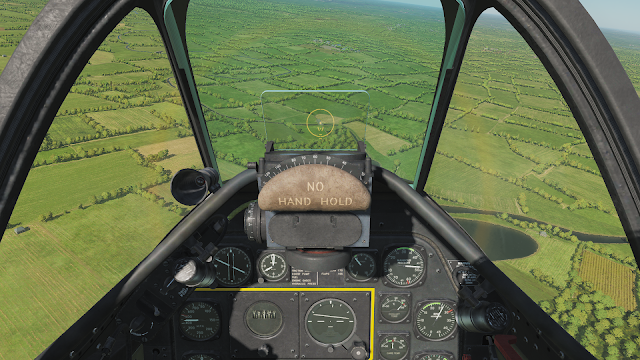 Watch for the airspeed not to exceed 300 mph. The proper angle of the "dive" is around 30 degrees. Line sight the pipper on the target, a bridge in this case. Then apply some lead by raising the nose. 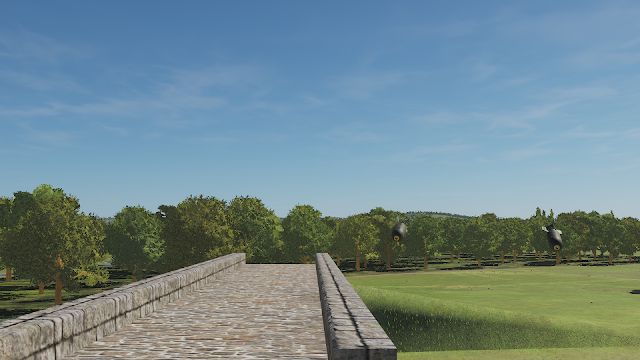 The angle ended up too shallow. 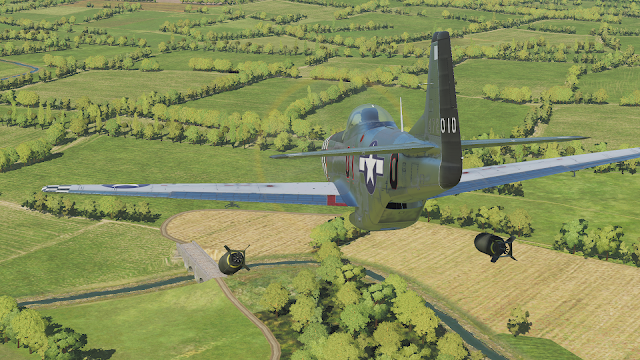 In real life, these two beauties may have ricocheted on the ground. But this was good enough, although not exactly precision bombing. 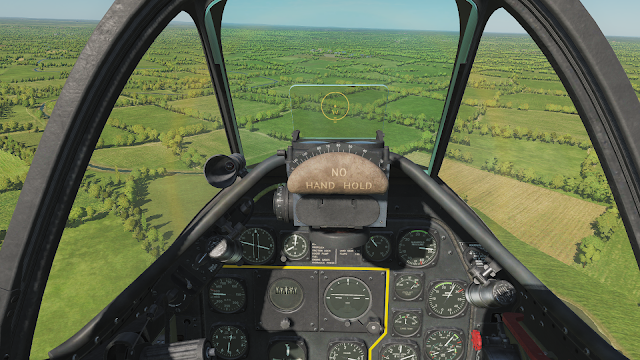 Now, onto doing this in the presence of German AAA!